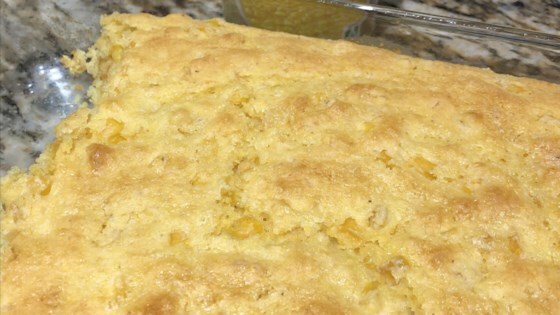 "Corn baked into cornbread -- delicious!" I added two eggs like others suggested and it turned out exactly like corn tomalito from chevy's. This is a good one-be sure to add two eggs to make this even better. It is a favorite with our holiday meals. Myfaily couldn't get enough of this. I had to make a second batch. Absolutely delicous. 0 stars. Dry, bland, and yukky texture. Sorry, Brandy.